& Sponsor Links in this description. It’s time to get out of the woods and take my Crosman Bug Out Kit from Pyramyd Air to my range for some tesing! We saw how accurate the Crosman Backpacker .22 caliber air rifle shot at ten yards, It’s time to find out how far I can take it back and still get good grouping. I also tested a couple different pellets over the Chrony, the Crosman Premeir 14.3 grains and the lightest ones I have in .22 cal, the Gamo platinum. I’m not spilling anything, you’ll just have to watch the video. My hope is these video will help all you viewers better make decisions on airgun and pellet purchases! Survival takes testing! 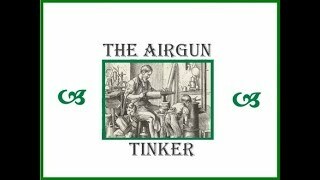 PyramydAir – Get your gear from the airgun experts! Get it from http://www.PyramydAir.com!